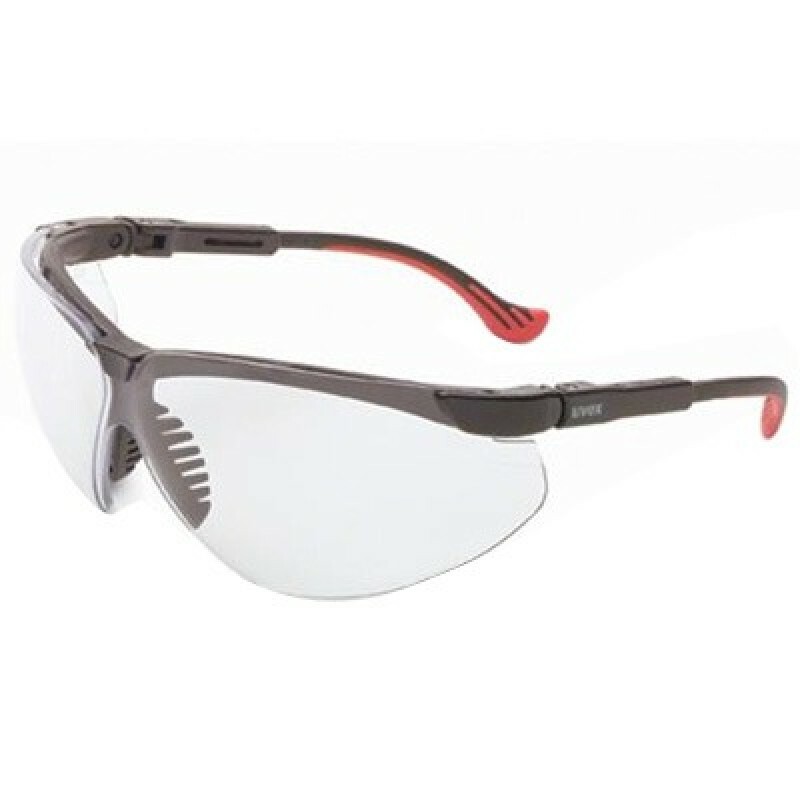 Genesis XC Safety Glasses are designed with the same comfort features and benefits as the Genesis but with 20% more cheek and side coverage. The Genesis XC offers an optional RX lens insert to hold RX lenses firmly in place. Other features include soft flexible nose fingers, soft brow guard, adjustable temple length, and cushioned temples. In addition, these safety glasses have a unique ventilation channel to deliver an outstanding level of moisture and fog control. Genesis's wrap-around lens design provides excellent peripheral coverage. The lens was designed to follow the contour of the the cheek bone to create a "zone of protection." Impact resistant polycarbonate lenses block 99.9% of harmful UVA and UVB rays. Made in the USA. Lens: Clear - Ideal for general purposes for indoor applications that require impact protection.